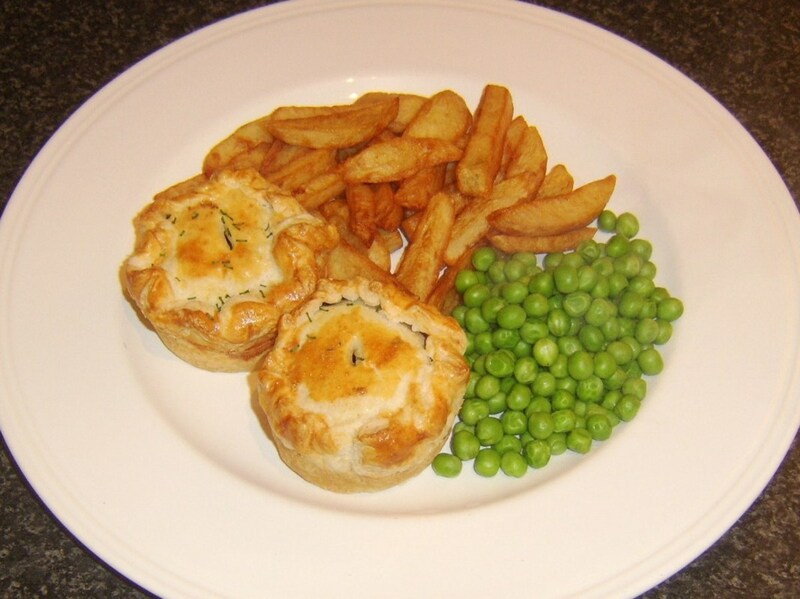 Pies are truly a foodstuff which is infinitely versatile. 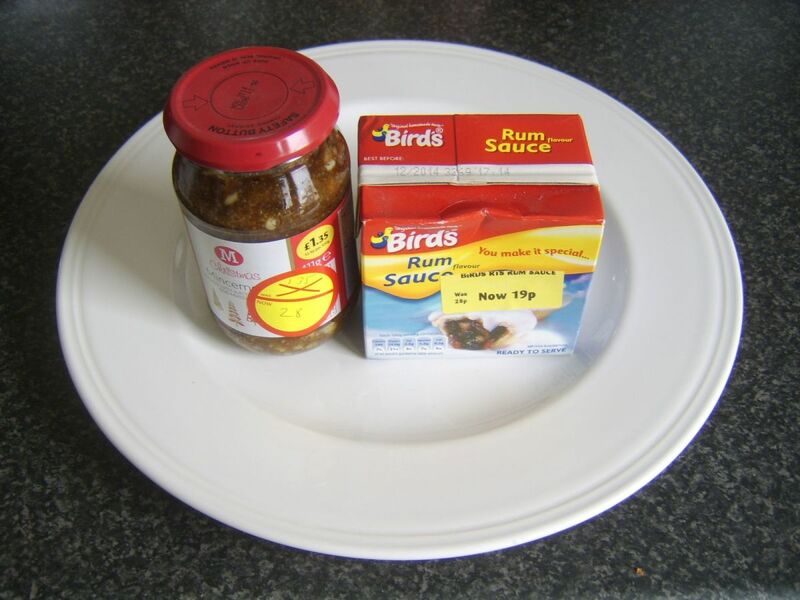 There are quite literally no limits to what you can add to a pie and almost everyone has their favourite type of pie filling. If you are in the United States, it is perhaps likely that pie for you will mean apple pie, blueberry pie or even pecan pie. If, on the other hand, you are in the United Kingdom, it is far more likely that you will favour steak and kidney, pork, or fish pie. 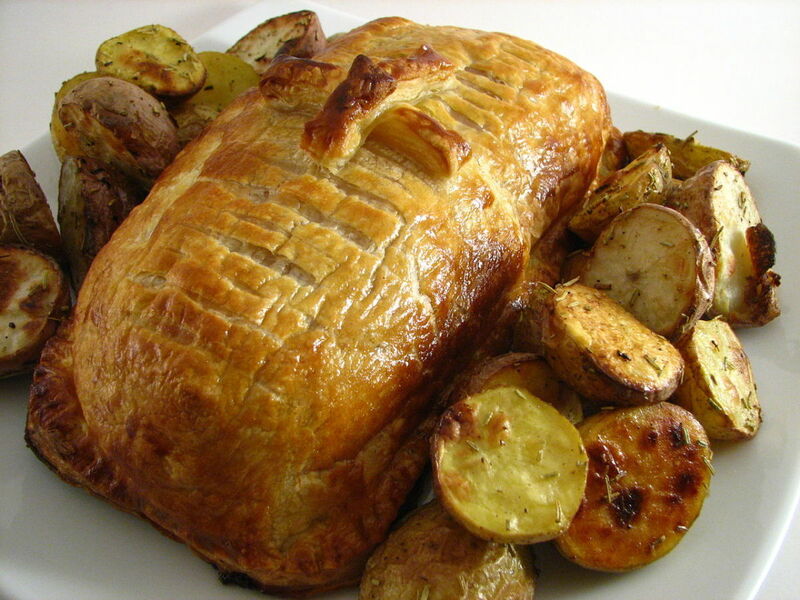 Just as the filling included in a pie can be varied, so too can the pastry used to assemble the pie. 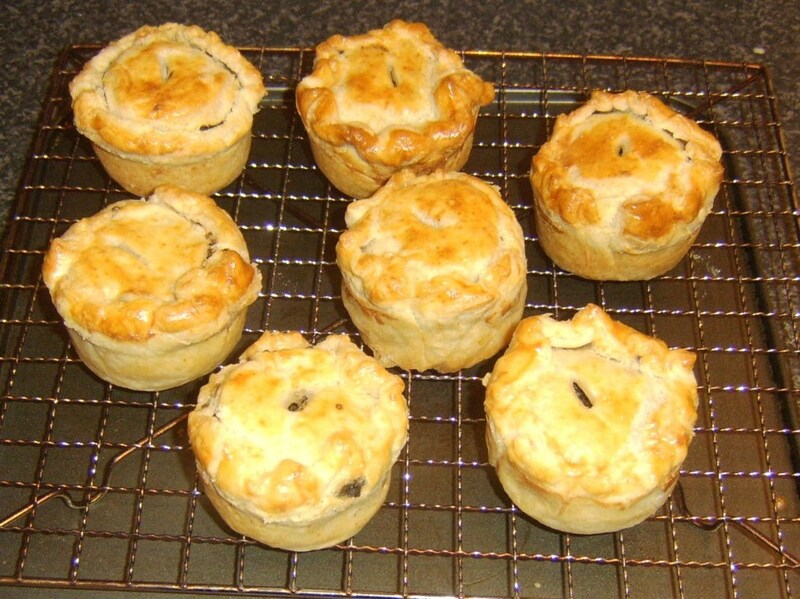 Shortcrust pastry is commonly used when making pies, while hot water pastry is also a very popular choice in the UK. In the recipes included in this series, I have however used my own personal favourite pastry for making pies, puff pastry. What this page represents is the start of a journey in to mini puff pastry pies; it is intended to become an exploration of the filling possibilities and hopefully an ultimate feast of recipes with something to suit any and all tastes, however diverse. Immediately below, I will look at how the puff pastry casings are made for the pies and in future will include only filling recipes and suggestions. 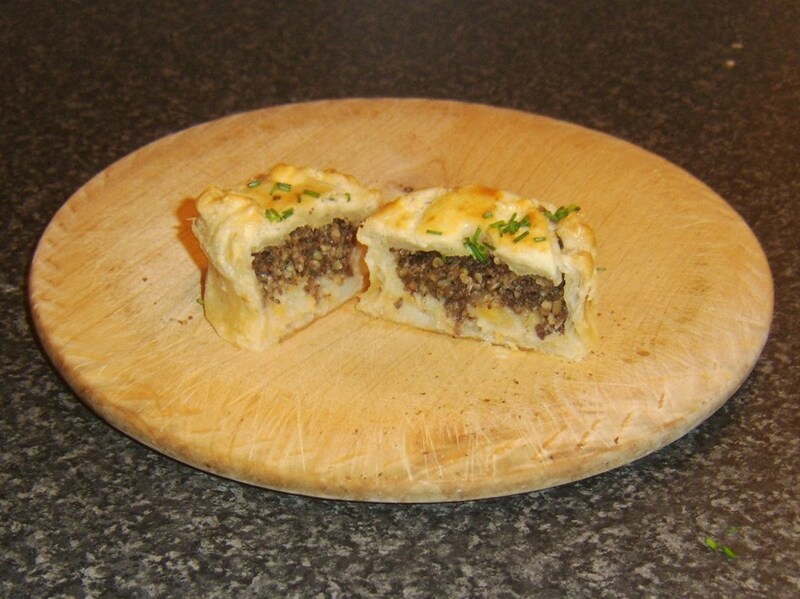 I hope you will bookmark this page and return regularly for details of the latest pies I have come up with - both savoury and sweet - and that it is not very long before you find at least a few recipes you want to try out yourself. The filling options used in this first recipe are Scottish haggis and clapshot, the latter being a combination of equal portions of mashed potatoes and Swede turnip/rutabaga with chopped chives. 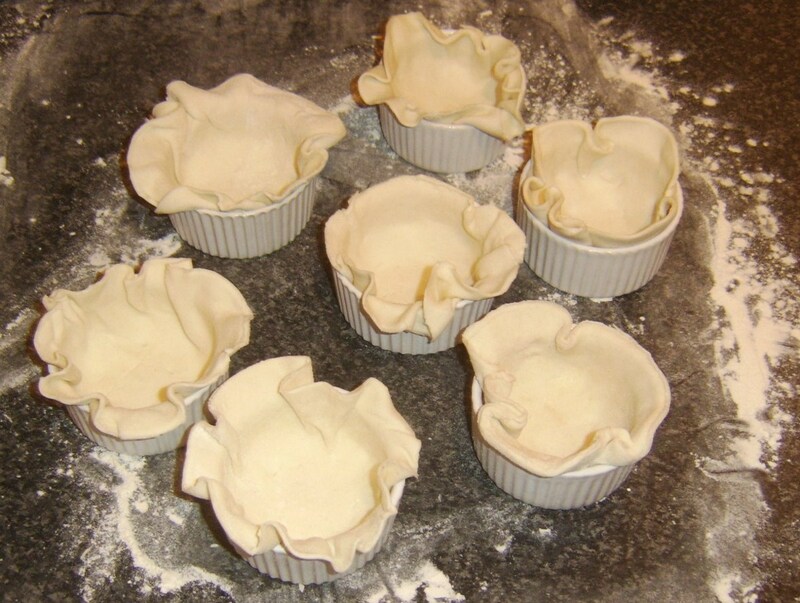 When you are contemplating making these wonderful mini puff pastry pies - regardless with what you choose to fill them - you will need a set of mini porcelain ramekins for assembling and cooking the pies. If you don't have such a product, the good news is that they are fairly inexpensive, extremely durable and can be used equally well for a variety of alternative purposes. 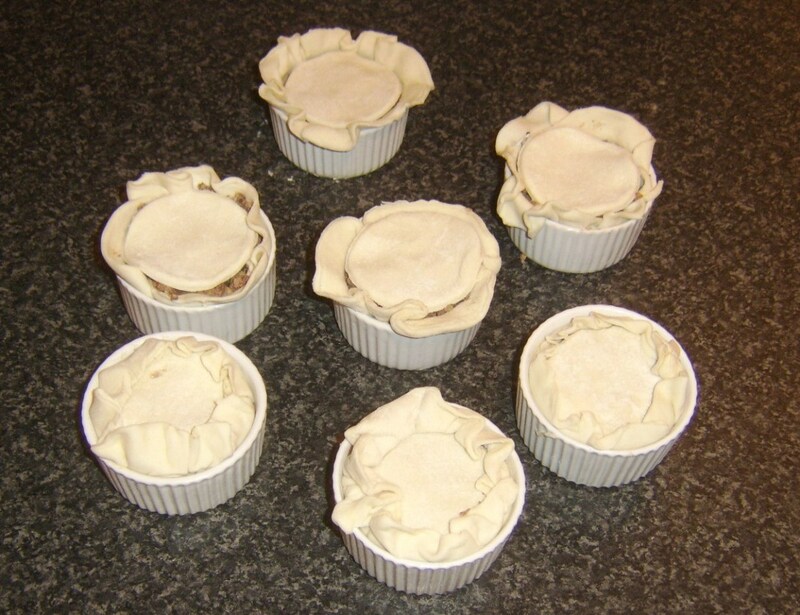 It is imperative before you start rolling and cutting the pastry for the pies that you know the precise measurements of your ramekins. 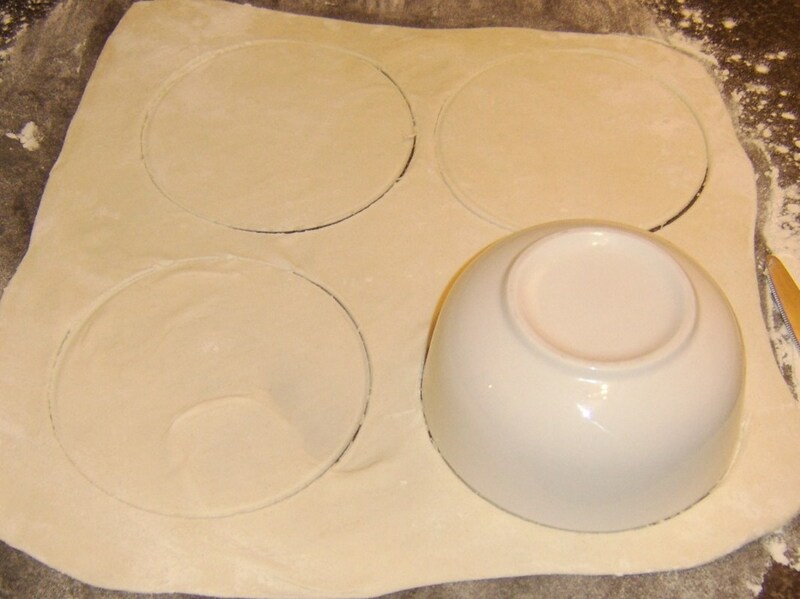 You need to know not only the diameter but the depth, as each pastry disc for the main pie casing will need to be cut with a diameter slightly larger than the ramekin diameter plus twice the depth. 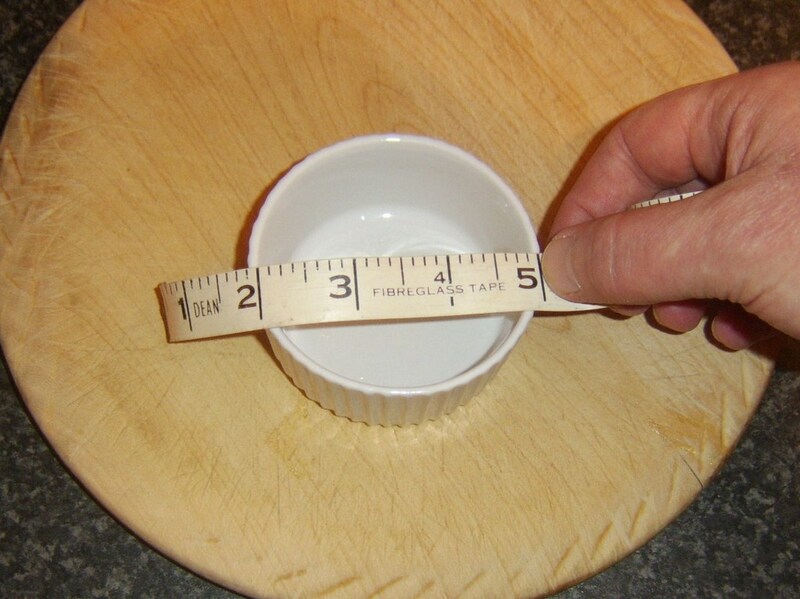 For example, my ramekins are three in inches in diameter and one inch deep. This means I need to cut each initial circle from the pastry with a diameter of just over five inches. I then had to find a template for cutting my pastry circles for the pie cases. 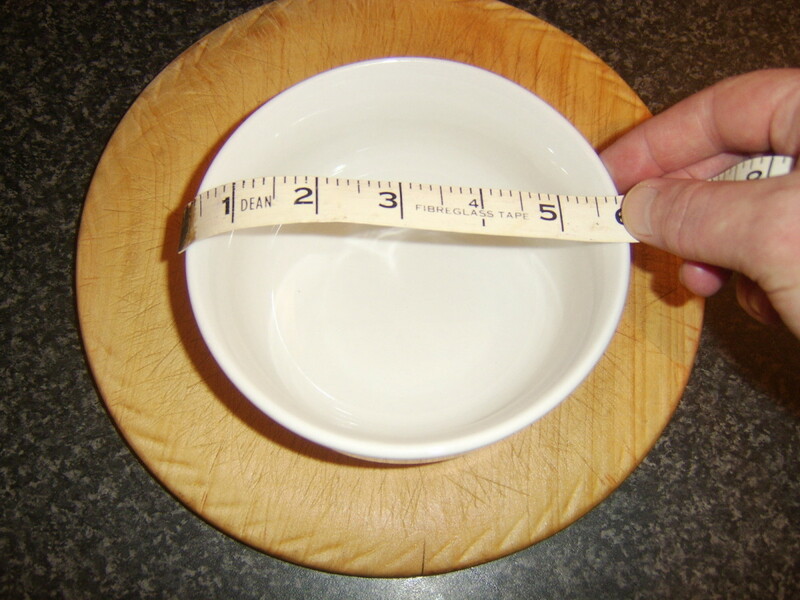 Luckily, I found a bowl with a diameter of just over five inches - perfect. Grease your ramekins with some butter. Gather each circle of pastry up almost like the petals of a flower and sit in the ramekin, carefully tucking it in and around. You should have a slight overhang all around the edges of the ramekins. The puff pastry was bought premade in half pound blocks. You should easily get the casing and lid for four pies this size from a half pound of pastry. 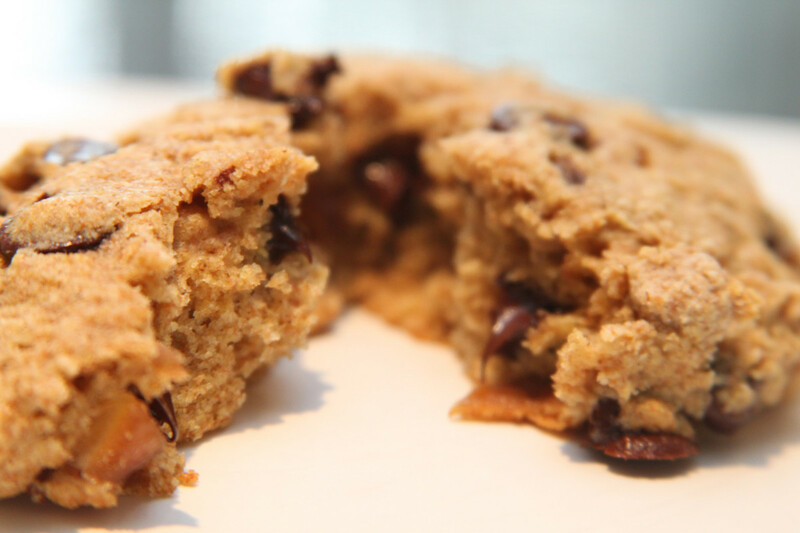 This recipe has two fillings which are to be added in separate layers. In most instances, that will not be the case, so filling the cases will be that bit simpler. The clapshot (mashed potato and Swede/rutabaga with chives) is spooned in first to almost but not quite half fill the cases. A similar amount of haggis is then added. Press down but only gently. 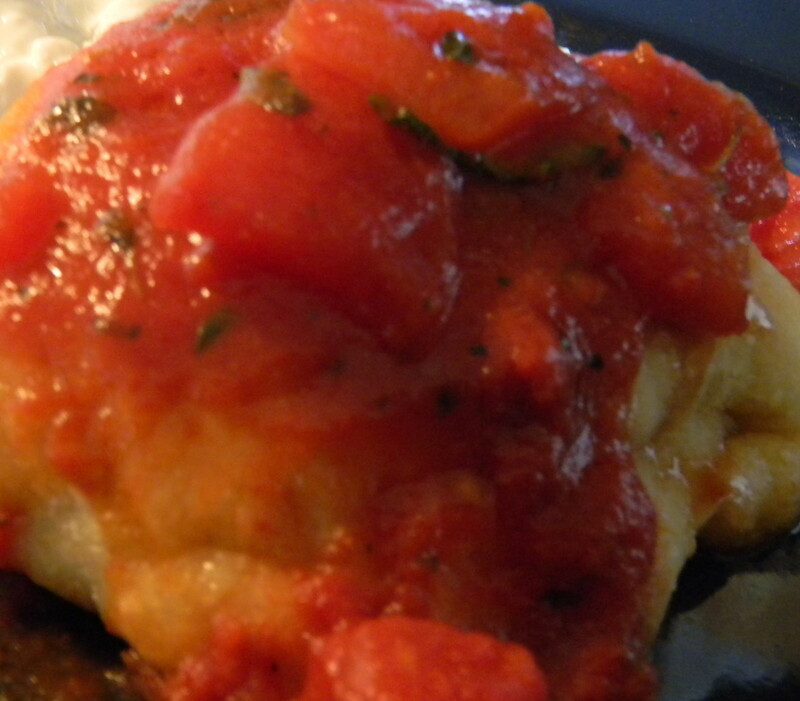 If you compact the filling too much, it will not heat through evenly. Your cases should now be filled to just below but not quite reaching the lips of the ramekins. A drinking glass was found to be the perfect size for cutting lids from the re-rolled pastry. These lids were then placed on top of what were now clearly becoming pies. At this stage, the pies should be left for fifteen minutes for the pastry to rest. 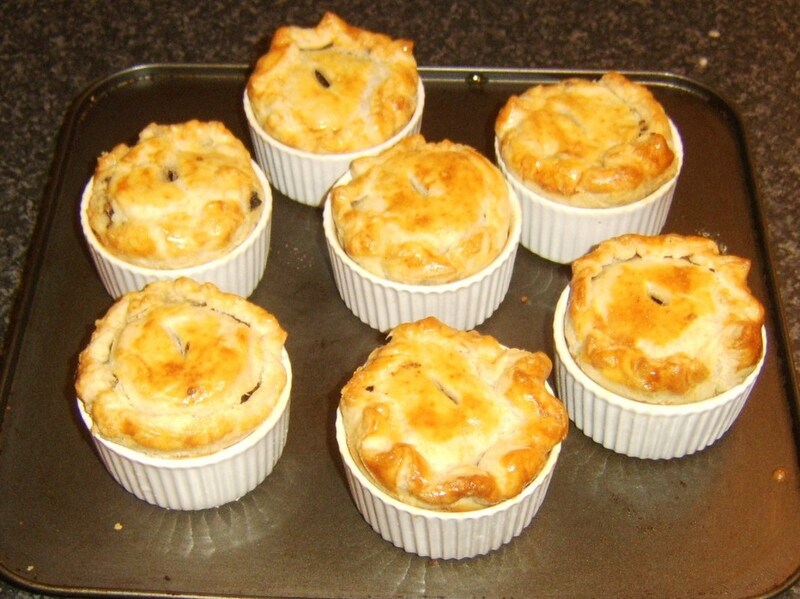 The lids were subsequently glazed with beaten egg before the edges were gently folded over and the crimps around the edges glazed with more beaten egg. A small steam vent should be cut in the top of each pie with a sharp knife, or the pastry is liable to burst in the oven. 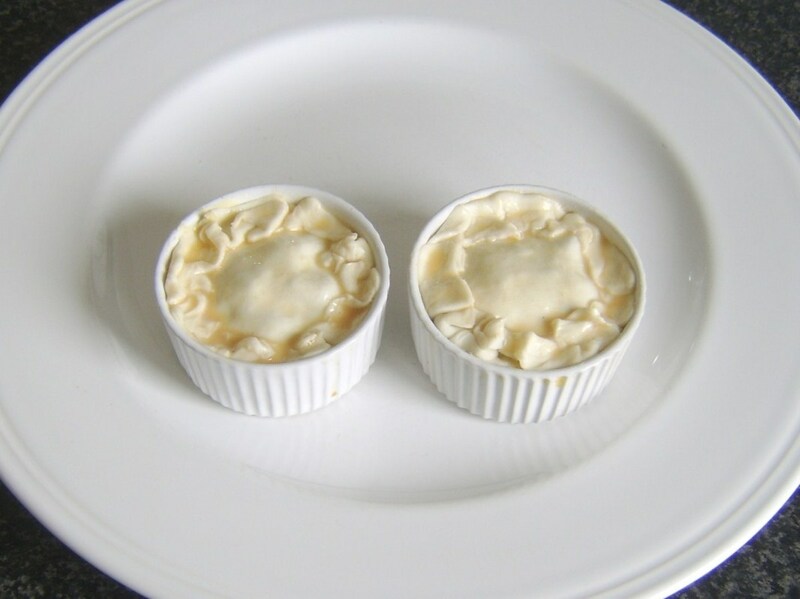 The ramekins should be added to a baking sheet or tray and your oven (preheated to 425F/210C/Gas Mark 7). They will take thirty to thirty-five minutes to become risen, crisp and beautifully golden. Take the tray from the oven and leave it alone for ten minutes. 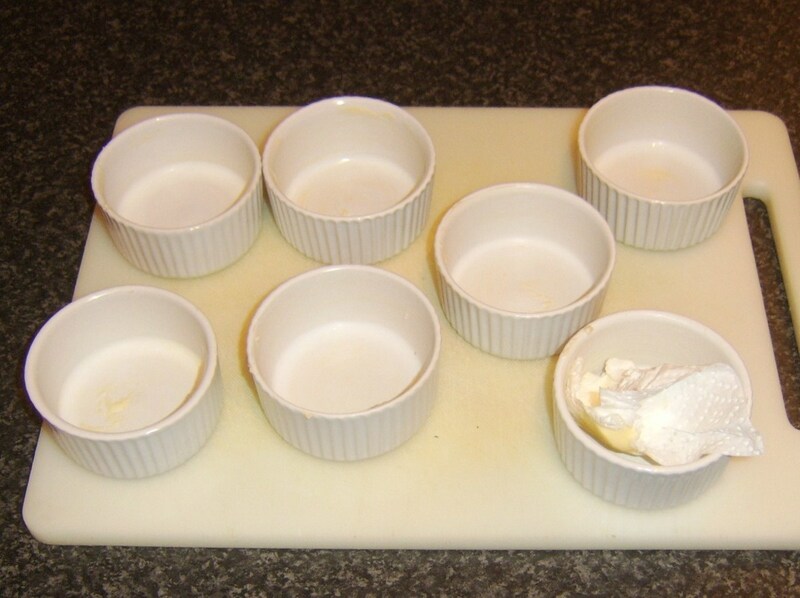 At that point, lift each ramekin in turn (using oven gloves - they will still be hot!) and tap lightly on a hard surface. Turn over to release the pies and rest the pies on a wire rack for a further ten minutes. They are then ready to eat or can equally be covered and left to cool. 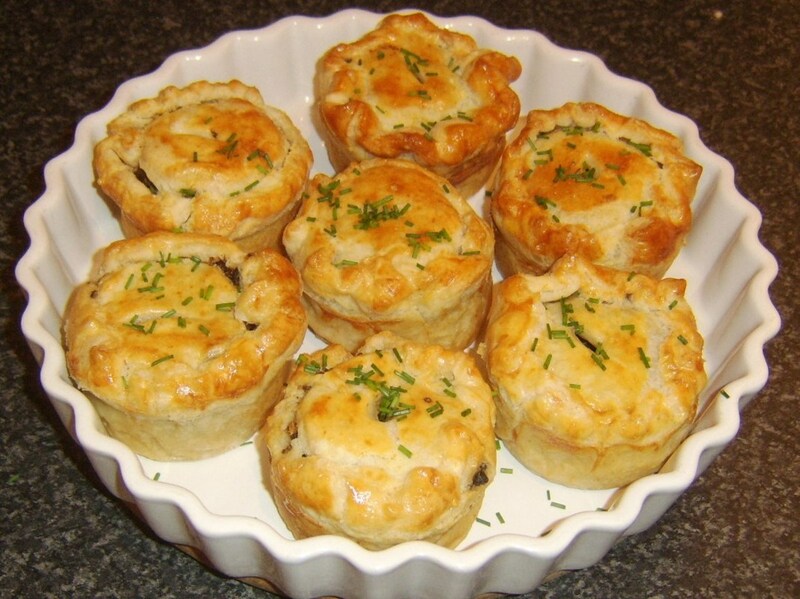 The first option in the photos above is to serve the pies as buffet food, with freshly chopped chives serving as an attractive garnish. The second option is to serve them on a plate with homemade chips/fries and garden peas. Sweet Pies or Meat Pies? It's got to be sweet pies for me! 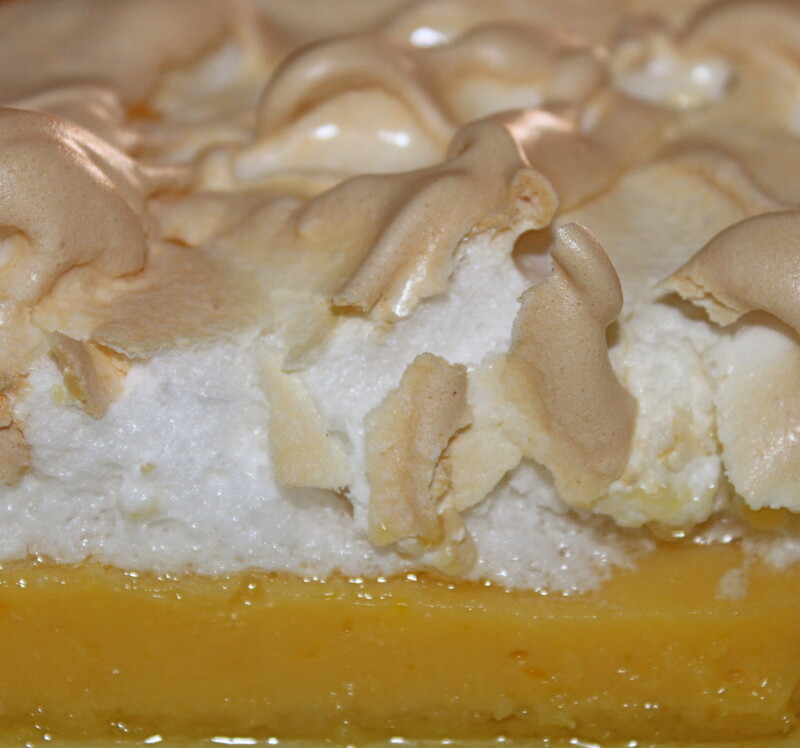 If you voted for sweet pies in the poll just above, this is a recipe which may be very much more to your liking. 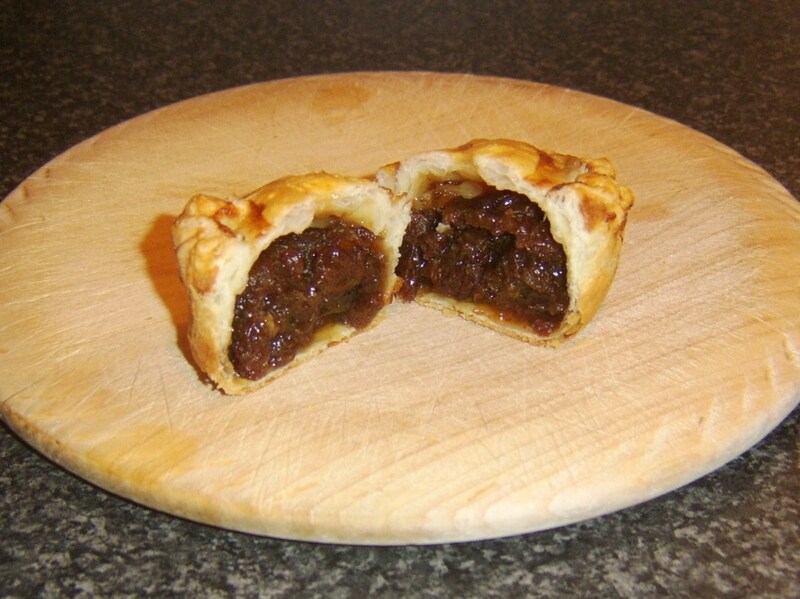 Mincemeat pies are a huge part of the British Christmas food tradition and it's a great shame that they tend not to be eaten or even seen at other times of year. 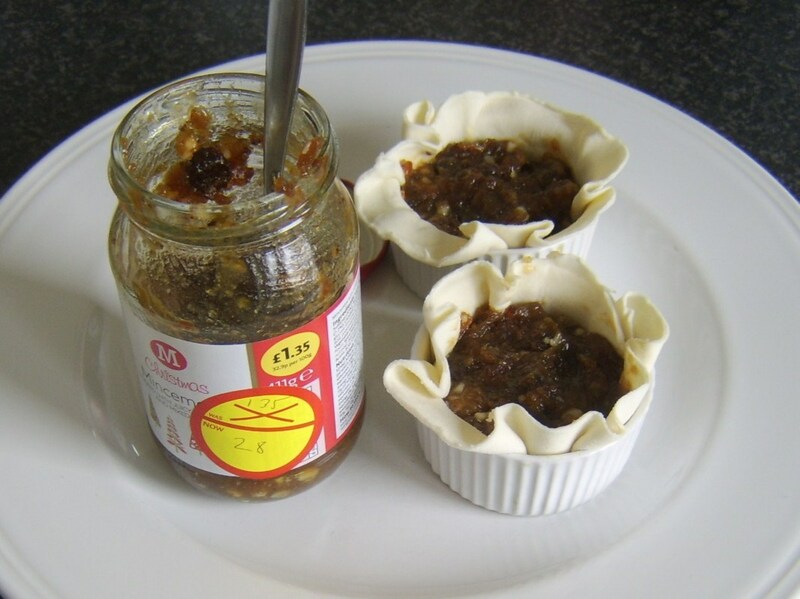 The idea to make them and feature them on this page was born when I saw jars of mincemeat in my local supermarket reduced from 1.35 to 28p to clear, even though their use by date was more than ten months away! Similarly short of its use by date was a carton of rum sauce. I couldn't make out its original price (the label was slightly damaged) but I'm sure it would have been a lot more than the 19p I paid for it! 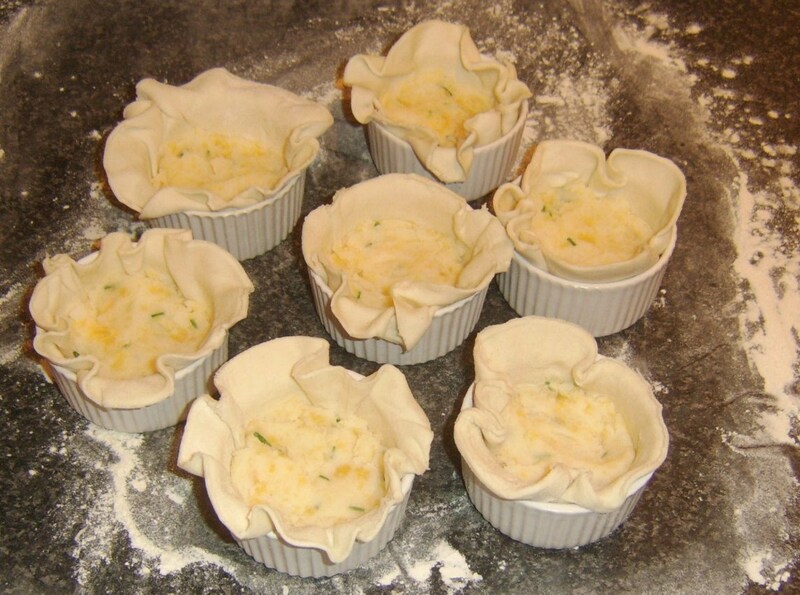 The puff pastry is rolled, cut and added to the ramekins exactly as in the recipe further up the page. 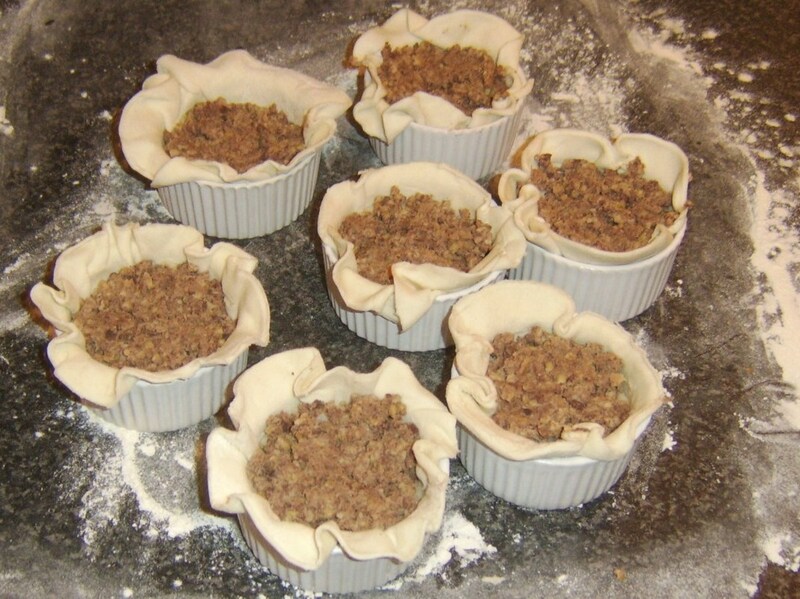 When the main pastry casings are added to the buttered ramekins, around a tablespoon of mincemeat is added to each, filling them almost but not quite to the top. 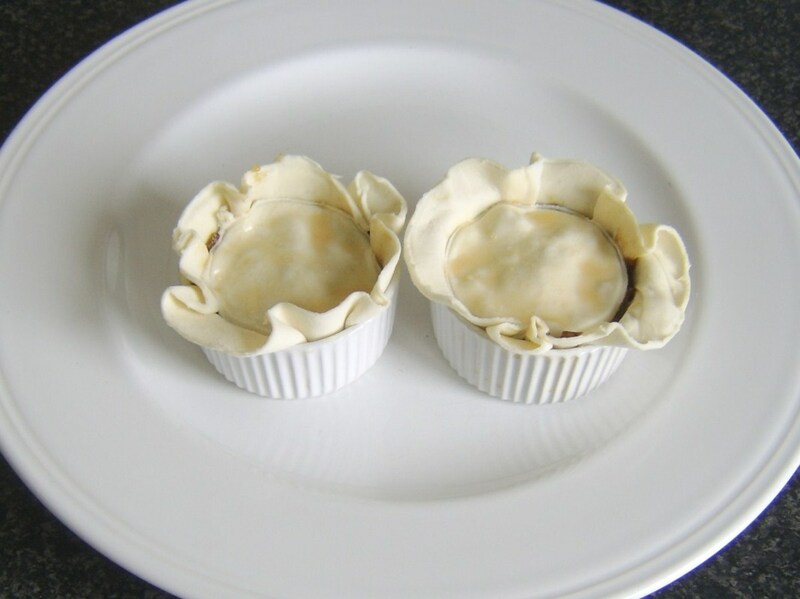 Although you should press the filling down lightly, don't compact it too tightly or you could thin the pastry and cause the pies to break when you attempt to remove them from the ramekins after cooking. 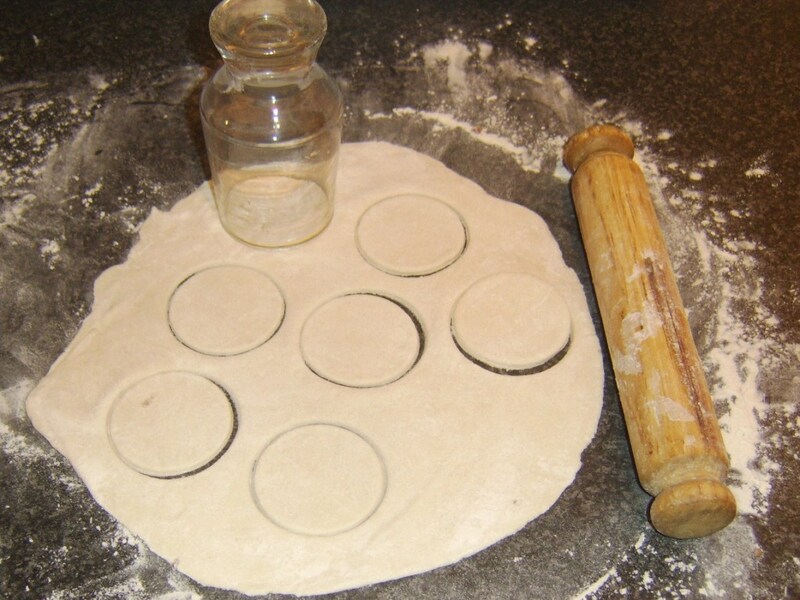 Put the lids on the pies, rest the pastry briefly, then crimp, glaze and cut a steam vent for the oven. 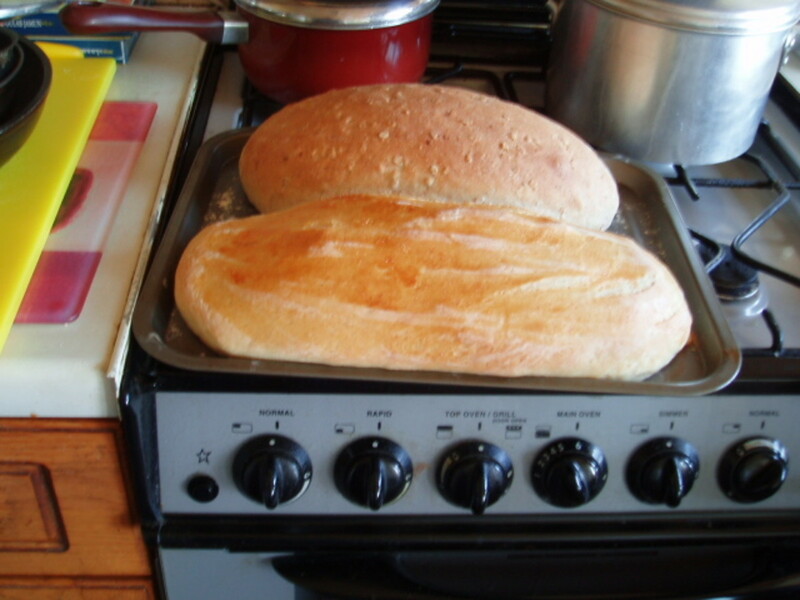 Add to your preheated oven (425F/210C/Gas Mark 7) for again thrity to thirty-five minutes until done. 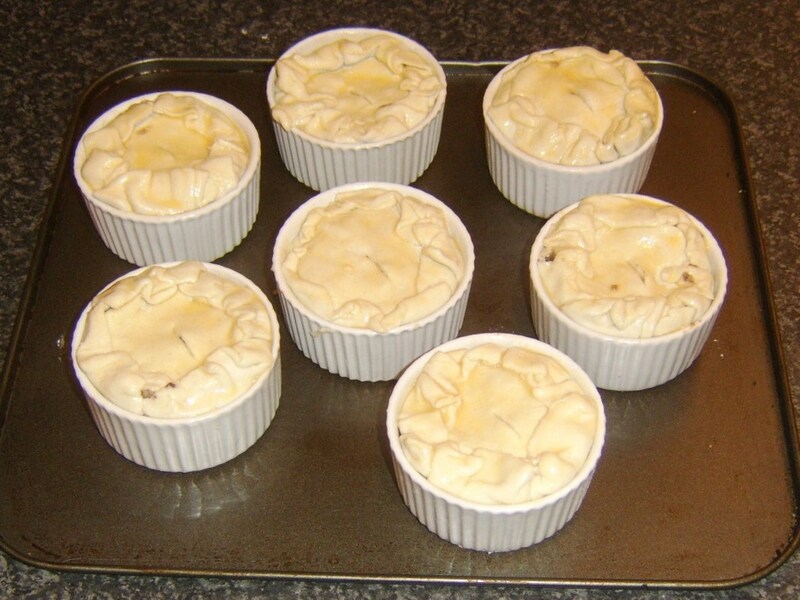 Let the pies rest in the ramekins for ten minutes before carefully turning out and either cooling completely on a wire rack or serving hot. 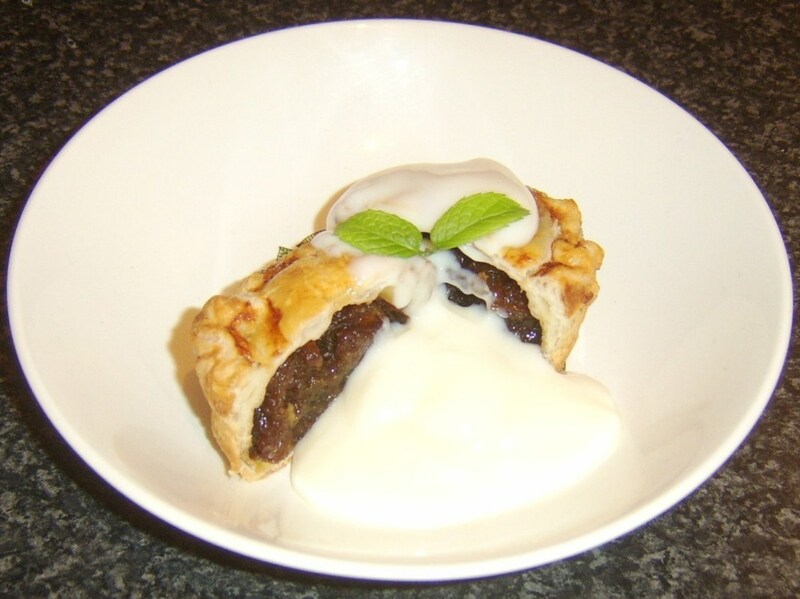 In the serving suggestion above, the rum sauce was poured over the pie and garnished with a small sprig of mint. What's In Your Favourite Pie?